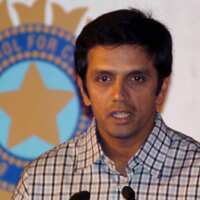 New Delhi: Rahul Dravid has resigned as India captain to concentrate on his batting, cricket board president Sharad Pawar said on 14 September after the authority had accepted the player’s request to relinquish the post. The national selectors are meeting on 18 September to pick the squad for the home one-day series against Australia and they are expected to name his successor then. “In the last few days he has told me that captaincy was affecting his game," Pawar told reporters. “He said he can’t handle both the responsibilities, which were leading to small deficiencies. “He has said he would like to continue to play and improve upon his performance and also give full support to whoever takes the responsibility to lead the team. “I think we should respect his view. We have accepted it," he said. Former captains Sachin Tendulkar and Saurav Ganguly along with wicketkeeper Mahendra Dhoni, who is leading the team in the Twenty20 World Cup in South Africa, are in the frame to succeed Dravid. Dravid, 34, led India to their first test series win in England for 21 years last month although he was below his best with the bat. Dravid, who has a superb career test average of 56.50, was subdued with the bat in the last two major series in South Africa and England, averaging at just over 20. The Karnataka player had replaced Ganguly as one-day captain in October 2005 and was made skipper of the test side shortly after. He led the team in 25 tests and compiled an 8-6 win-loss record. In 2006, Dravid helped India register a first test series victory against West Indies in the Caribbean for 35 years but his low point came at this year’s World Cup when his side were eliminated in the first round after a shock defeat to Bangladesh. India have a hectic schedule ahead. They host Australia in a seven-match one-day series starting on 29 September and then Pakistan for a test and one-day series before leaving for a test tour of Australia in December.